the democratic system of Uganda is a joke?” Following the recent SIM card registration policy passed by government, after many failed attempts, government finally followed through with it’s deadline leaving thousands of Ugandan’s phone numbers disconnected including Ofwono Opondo’s number the Government Spokesman & Head of the Uganda Media Center!!! Tracking back, shortly before the deadline. The Parliament of Uganda passed a law, directing UCC to postpone the Sim card registration deadline & give more Ugandans “who can’t read” a chance to register their SIM cards up to next year (Huge joke right?). 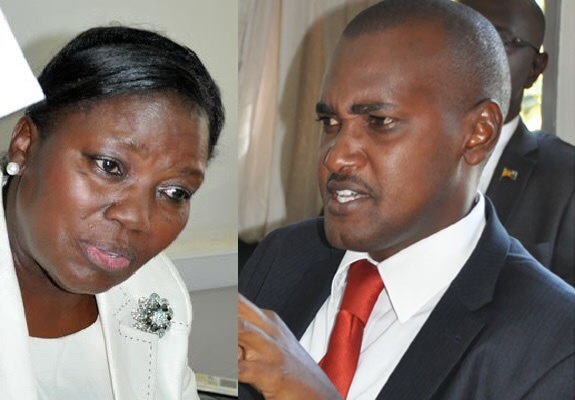 However, despite of parliament’s ruling, the government through the ICT Minister Frank Tumwebaze went ahead to enforce their deadline of Sim card registration and we all know what happened on the 19th May 2017. What he did was ground breaking for the “Kisanja Hakuna Mchezoo government…” Yet still against the law. The minister of ICT was found in contempt of Parliament, which means he broke the law to enforce the law. Upon being summoned by the speaker, the minister still enforced the law by leaving the disconnected all SIM cards off. Ps, the summoning was never effected due to the events that followed. Shortly at the start of the week, Monday the NRM Party meeting seats (NRM MPs alone) in Entebbe. Not surprisingly, the Chairperson of the ruling party who is also the president of Uganda Uganda accepts the plea of the members of Parliament to extend the registration process and deadline. However the presidents only decides to push it up to the month of August 2017 which is a good gesture. But can’t help to Question the system, what happened to the ruling of Parliament? what happens to the minister’s defiance to parliaments ruling? Does it all go silent just because the NRM Party (ruling party) met? Personally am glad that for the first time the government of Uganda tried to enforce its law. But breaking one law to fix one does not make it right. What time can we say as Ugandans, is our leadership and democratic system a huge joke? Who really besides what happens in the country? Is it the Nrm cook off that passes laws? Is it the chairperson of the ruling party as we have seen countless times and over from Kyankwazi retreats? What is the role of parliament? This leaves me confused, fellow Ugandans please help me understand. Is our government system huge joke? I need fresh orientation. Well, you make a hell of a question. It provides more questions than answers. But, I know for a fact that you and I know the truth. I will refer you to this interview which you might have read about. http://observer.ug/news/headlines/53001-the-love-hate-relationship-between-museveni-the-byanyimas.html There you will find all the answers which you already know.